Yesterday we had Ms. Nicci Julian in for a visit at Village Green Foods. Nicci is the Owner & Chef at Confectious Pastry Shop which you should most definitely check out. We spent about an hour showing Nicci around our facility and getting to know her. Smart lady and AMAZING pastry chef. How do we know? She dropped off some cookies this morning as a thank you. Oh boy are they good!!! 3 kinds! 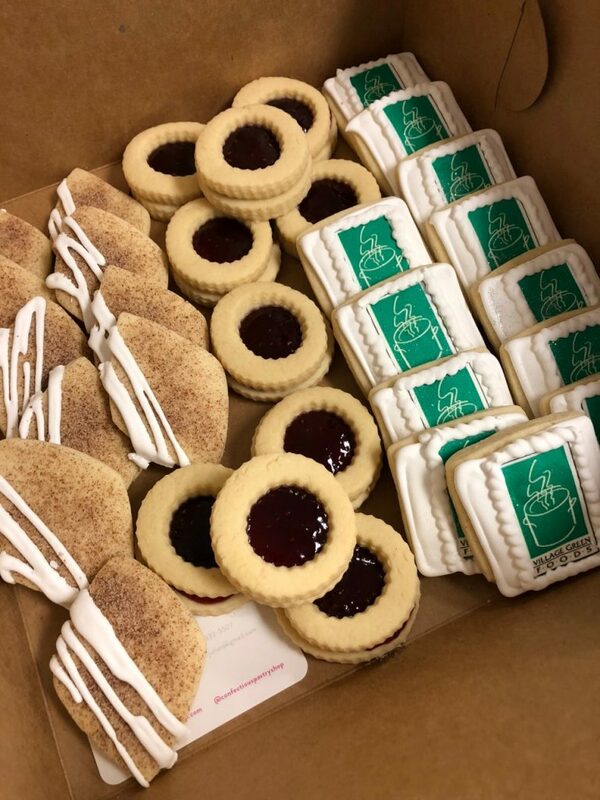 I’ve only tasted the logo cookie so far and it’s a soft buttery sugar cookie that could become an addiction! 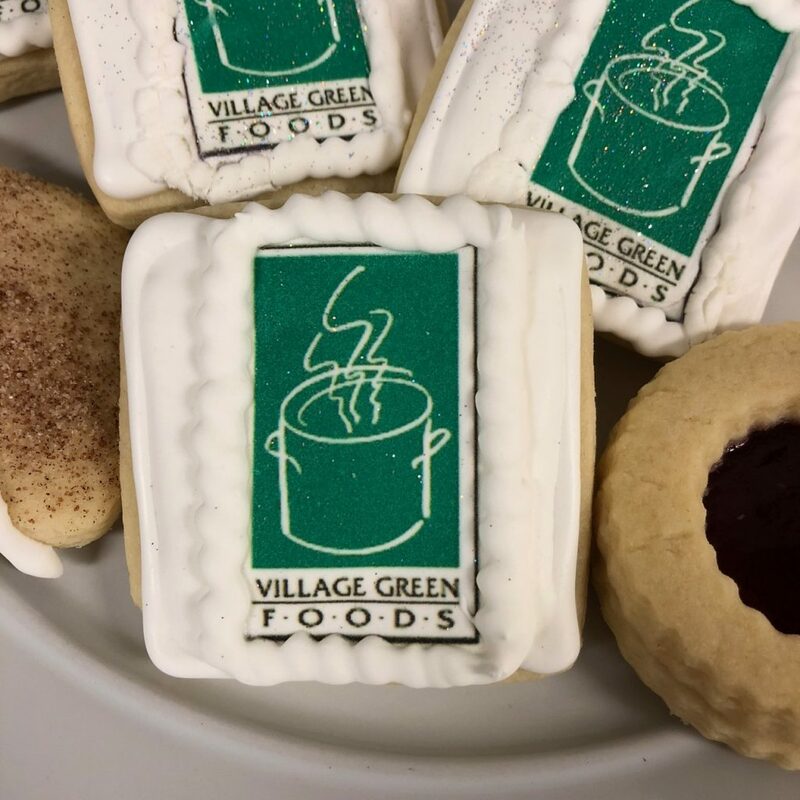 Thank you Nicci – from everyone at Village Green Foods! What a treat! This is so nice! Glad you enjoyed them!